Sick of grey winter days, and equally dull winter clothes? Inject some colour into your wardrobe with this printed skirt from Mango. Are you playing it safe this winter, and just fallow back on your tried and tested monochrome outfits? Why not inject some pattern and colour into your wardrobe with this flowy and flattering pleated skirt, new in at Mango? 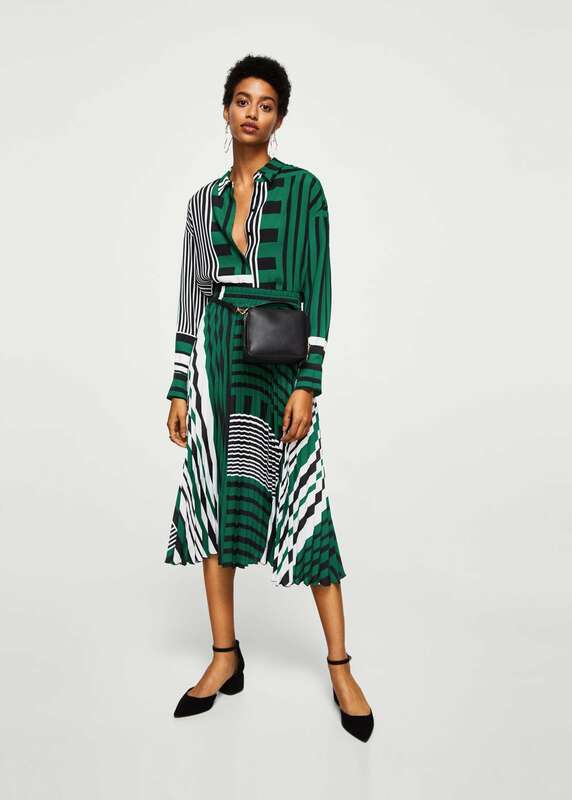 They’ve shown it here styled with a matching print shirt, but if that feels a bit too bold you could team it with a sweatshirt and pumps for an off duty look. Or, for work, you can wear with a roll neck jumper and tonal blazer, and a low heeled shoe. Whatever you do, embrace your inner extrovert and be bit more daring in your style in 2018!